Have you heard? Dates are nature's candy! Naturally sweet, they are an excellent source of fiber and vitamins and minerals including B vitamins, magnesium and potassium. 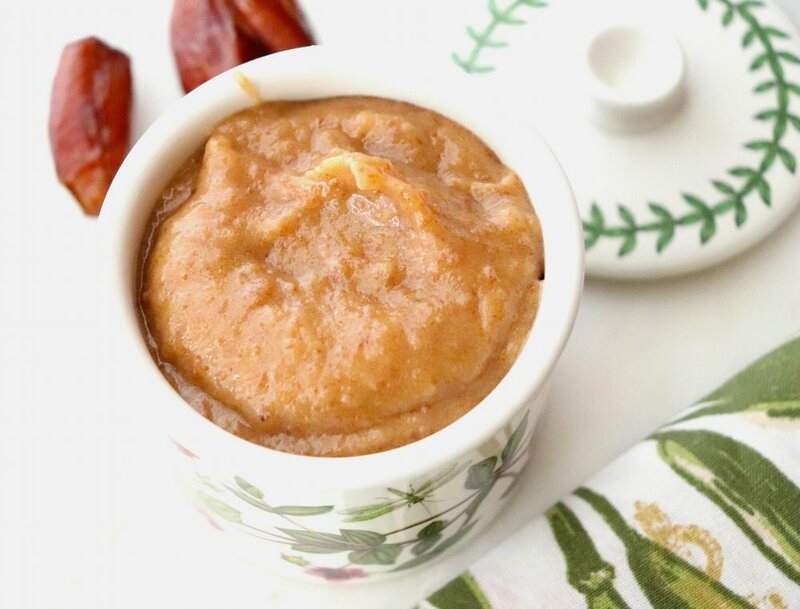 Wonderful on their own with a handful of nuts or chopped and mixed into yogurt, for Sugar-Free January I decided to experiment with using dates as the sweetener in some recipes in the place of refined sugar. Turns out, it works great! The key is making a "date butter" (or I've also seen it referred to as "date paste" but I think "date butter" sounds more appetizing!). This way the date flavor/sweetness in incorporated throughout the entire dish as opposed to just using pieces of dates. The recipe couldn't be simpler - dates, hot water and a blender/food processor. 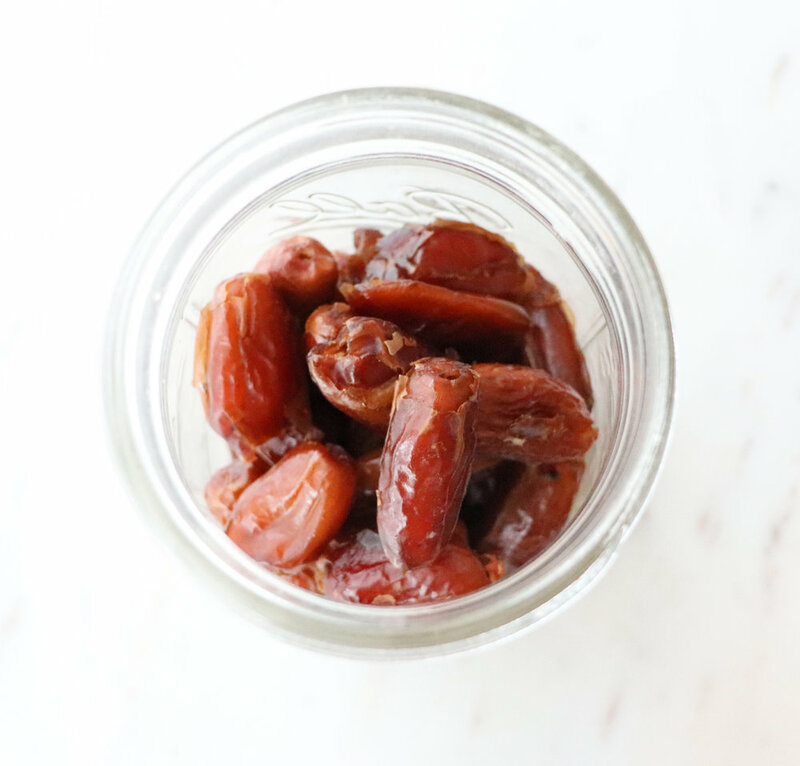 Soak the dates in hot water for at least 15 minutes to soften them up, then blend. That's it! I added a little vanilla extract to enhance the sweet taste, but that is optional. (You could also let them soak overnight, covered, and then process them in the morning). Combine the dates and hot water in a container with a lid. Cover and let sit at room temperature for at least 15 minutes (can also let sit, covered overnight). 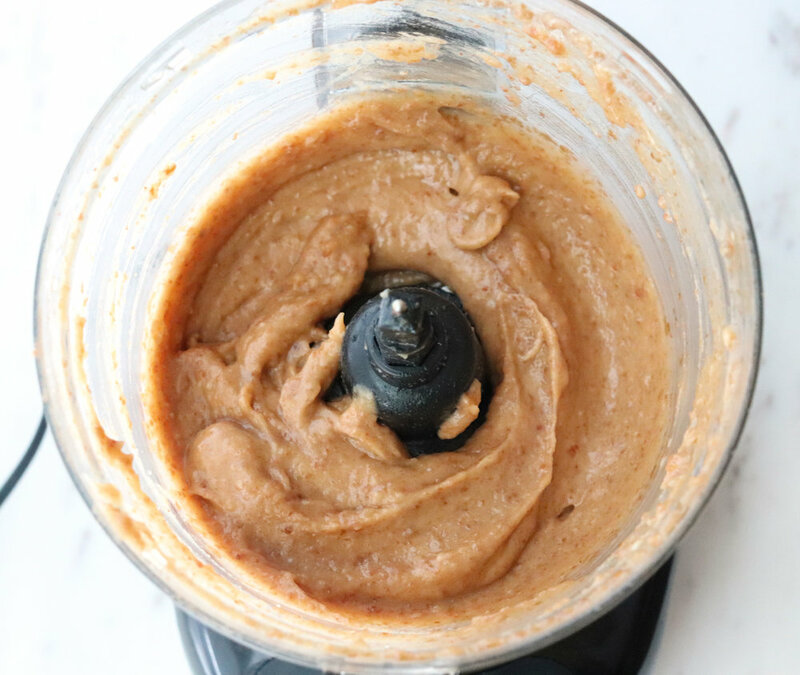 Pour dates and liquid into food processor or blender. Add vanilla and process until smooth. Store covered in the refrigerator for up to one month.